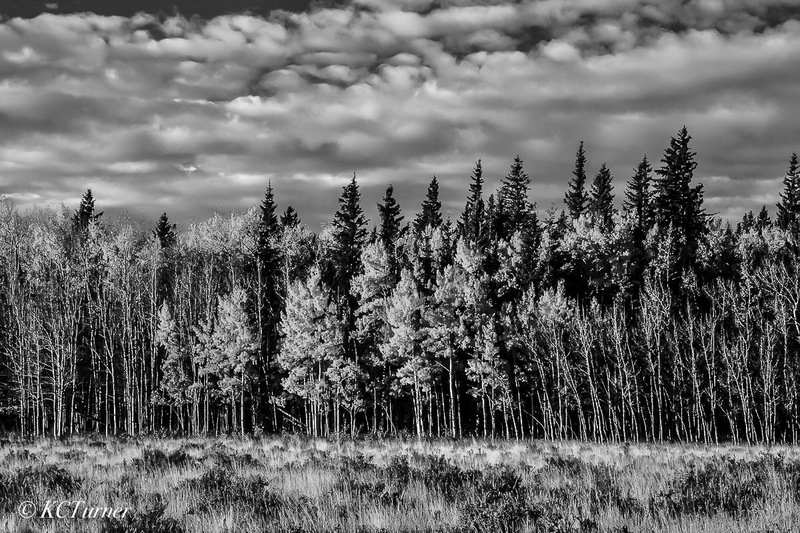 This black & white landscape photo of an endless wall of Aspens surrounded by beautiful pastures complete with Colorado's classic afternoon clouds is a photographers dream. Photo © copyright by K.C. Turner.